AMD’s mercenary rival to Nvidia’s GeForce Experience software has quietly been put out to pasture. Radeon driver updates have included AMD’s Gaming Evolved—a rebranded version of Raptr’s service, rather than software developed in-house by AMD—since the Radeon R200-series graphics cards rolled out in 2013. Like Nvidia’s GeForce Experience, AMD Gaming Evolved offered automatic optimization of in-game graphics and the ability to record and share footage of your gaming adventures, though it never received the same accolades as Nvidia’s slick software. But over the past few weeks, some gamers noticed that Radeon Crimson updates no longer included the AMD Gaming Evolved app. That seemed awfully suspicious, especially given AMD’s recent silence around Gaming Evolved in an era where the Radeon Technologies Group is preaching about tight integration of hardware and software at every opportunity. So Keith May of Wccftech asked AMD about it—and the company confirmed Gaming Evolved’s silent scuttling. It’s not quite time to pour one out for Gaming Evolved. As AMD’s statement said, the app still works if you’ve installed it previously. It’s also still available via Raptr’s website, and Gaming Evolved has always mirrored Raptr’s main app, which is still going strong. 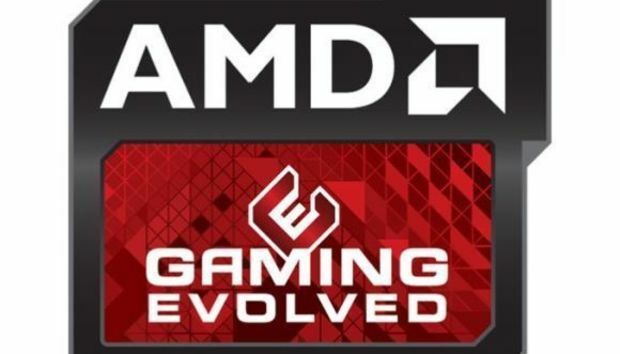 And you can still find AMD Gaming Evolved references all over AMD’s website. Nevertheless, it appears the writing’s inevitably on the wall for AMD Gaming Evolved at the very time that Nvidia’s GeForce Experience is undergoing a massive evolution. The impact on you at home: AMD isn’t currently bundling any optimization or recording programs with Radeon drivers, so you’ll need to seek out replacements yourself to replicate Gaming Evolved features. (Raptr’s own Plays.tv client is a pretty great gameplay recording solution.) The real question is what this means for the future. Does AMD plan to replace Gaming Evolved by beefing up the already superb Radeon Software Crimson, or leave Radeon owners without a dedicated GeForce Experience rival? Both seem equally possible.